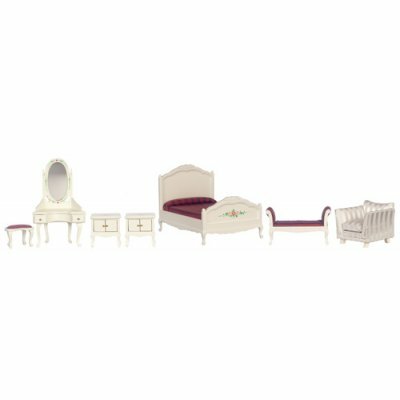 This top quality, miniature dollhouse Mauve Bedroom Furniture Set is a 1:12 scale set with 7 pieces of bedroom furniture included. 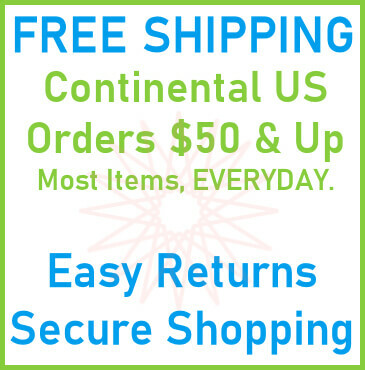 Included bedroom furniture pieces are: 1 double bed measuring 4-15/16" tall by 6-5/8" long by 4-3/4" wide, (2) night stands measuring 2-1/4" tall by 2-1/8" wide by 1-1/2" deep, 1 vanity with stool measuring 6" tall by 3-11/16" wide by 2" deep, 1 settee measuring 2-3/8" tall by 4-3/8" wide by 1-5/16" deep and 1 arm chair measuring 2-7/8" tall by 3" wide by 3" deep. This Mauve Bedroom Set 7pc is supplied by Handley House Miniatures, which generally ships within 8 business day(s) of you placing your order .